Culinary scholarships are similar to other scholarships, in that they award funds to good all-around students or students who show particular promise in the culinary arts. 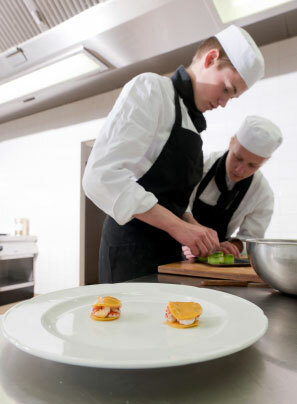 Several public and private institutions offer scholarships for students seeking to advance their educational careers in the culinary and pastry arts fields. 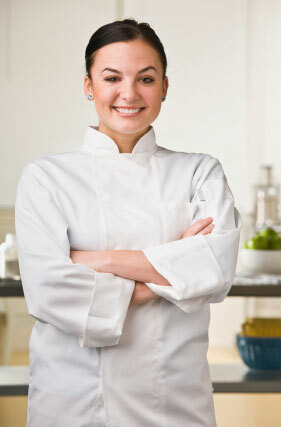 Scholarships for culinary students may be full or partial, domestic or international. Some scholarships apply to particular institutions’ programs, while others are more generally applied. Restaurant associations and other professional industry organizations offer state and regionally based scholarships. Targeted scholarships are aimed at student-candidates from particular ethnic groups or relate to advancing individual aspects of the hospitality and culinary arts fields. Nutrition, for example, is an excellent keyword to include in your online search for student aid. The Institute of Food Technologists provides scholarship funding for graduate and undergraduate students pursuing education in food science. The International Cake Exploration Society sponsors a scholarship for students deemed most likely to develop and promote the art of decorating cakes. The Les Dames d'Escoffier International helps collect donations and funds for scholarships aimed at women pursuing the culinary arts. The Art Institutes Best Teen Chef Culinary Scholarship Competition - Art Institutes International, Inc. The Charlie Trotter Culinary Education Foundation awards scholarships to students pursuing culinary careers, as well as to those who work with Chicago area youth to promote healthy cooking and food education. Scholarships are awarded to good students, for overall academic performance. Students who are awarded general scholarships may wish to use funds to complete a culinary arts program, at an accredited institution. Scholarships based on certain other criteria like race and income might apply to your situation. While some private institutions, which offer scholarships may choose to apply these criteria, government funded scholarships generally cannot. Scholarships may also be awarded within specific sub-categories. For example, a scholarship for culinary students majoring in pastry, desserts, wine, or sustainable practices might have specific enrollment requirements. Once you’re clear on your food service dreams, applying for very specific scholarships is a great way to fund your commitment. Joining culinary related (or community/civic related) youth groups is another good idea. These organizations often provide access to scholarship opportunities for student members and volunteers. Engaging with industry groups, at this early educational juncture sets the stage for your career advancement, and illustrates your commitment to higher education. Scholarship review boards look over thousands of applications during the course of each scholarship’s lifetime. Pay attention to detailed requests for information, when filling out your scholarship application, and be truthful with your personal statements. If you can, have your application assessed by a professional scholarship / grant writing service. If unable to contract for a review of this nature, ask teachers, counselors and other educational professionals to look at your application, before you submit it.